I'm Cathy thinking out loud about things that matter to me. Sharing is in my nature, and at Cathy Thinking Out Loud I share and link, information, ideas, and people. Last Friday I was featured on Rogers Redboard Fan Friday. This is definitely stepping outside of my normal comfort zone. It was however very flattering to be chosen for this. The link to the Fan Friday post is below should you want to "Go behind the avatar" with me. Thanks to all that took the time to read it. Some vacation planning tips from 17 years of travelling with my kids. Family vacations and road trips don’t just magically happen. They are successful because someone (ME!) had a plan to make our family vacation enjoyable, engaging and as stress-free as possible for everyone in the family. I approach planning a family vacation like I would any other major event. There is a schedule: 6 months before, 1 month before, 2 weeks before, 1 week before, 1 day before, and the last minute and final touches. I have driven to Florida at least 6 times, Myrtle Beach twice, PEI once, as well as camping (Killbear 8 hr drive), and Boston twice. I have flown to Florida with my kids with, and without my husband, and to Italy. I have travelled with my kids since they they were very young, and I have learned a thing or two along the way. I would like to share some of those things with you. I have divided this into 2 parts: The first covering the planning schedule at 6 months and 1 month prior to the vacation, and the second post covering the last minute schedule of 2 weeks, 1 week and the day before the vacation. I sincerely hope that some of my ideas and tips are helpful for planning your family's vacation. Where are we going: Where is our trip destination? Will there be multiple stops along the way, or only a single destination? When are we going: When is the date and duration of the trip? How might the time of year, or days you travel on impact the trip, (e.g. expense, lineups, traffic)? Who is going: Are all family members going (including pets)? What arrangements need to be made for pets? Are extending family joining you, or meeting you there? Why are you going here: What are the expectations of all the family members going? Is an all-inclusive? Are there specific reasons for picking this trip (bucket list, cheap accommodation, etc)? By clarifying some of these questions it will be much easier to decide on a vacation and to manage expectations. What are we going to do there: What is there to do? What equipment is needed? Can it be rented? Each type of vacation will have different answers. For instance camping will be different than a Disney vacation. How are we getting there: Mode of transportation, route, etc? All of these need to be considered and compared. If you are flying will you need to rent a car? If you are driving, route and accommodation along the route are considerations. How are we paying for this trip: What is the budget for the trip, and how are we saving and paying for it? What are some of the ways to save and cut costs for this trip? Are there discounts or loyalty points that can be used? How far in advance do we need to order/book in order to use these points or discounts? This should include looking into travel insurance cost and coverage. ARE YOUR PASSPORTS UP TO DATE! The US requires that you have at least 6 months remaining before expiry date on your passport. This means if your passport expires in January 2014 you can travel using it until July2013. IF YOU ARE TRAVELLING WITH MINORS WITHOUT THE MINOR'S OTHER PARENT? You require Authorization to Travel from the other parent to cross International Borders. They ask for it, especially when flying. Be sure you have it! Check out these links to helpful sites to find out exactly what you need to travel into the US and abroad. Someone to collect the mail, flyers, and package deliveries while you are away. Snow removal or lawn cutting while you are away. Someone to check the house for you while you are away. Check your house insurance provider requirements for this, and how long the house can be unoccupied without impacting your coverage. Check to make sure there are no prescription renewals due while you're away. You may need to get your doctor to authorize an early renewal. Be sure to leave prescriptions in the original prescription bottle. Inform teachers if you are taking the kid(s) out of school now, and request any work due prior to trip, or work they are required to during the trip. Often teachers will ask for a trip journal, so make a folder for ticket stubs, park maps, programs, etc. You'll find more travel tips and ideas under the blogs TRIPS and TRAVEL tab. Yep, just me Cathy thinking out loud about family travel. In my house, for every person that lives here there are at least two electronic devices that need to be charged, not including the GPS, and e-readers. Where do we plug all these devices in so they are charged when we want to use them? Especially the cell phones which I use to in touch with my kids. What do we do about the cord chaos that all the separate charging cords create? We are constantly looking for one cord or another, searching for where it was left last time we charged our devices. How do we contain the charging of these devices to a single spot or room so we know where they are when we need them? What is a Mom to do? Answer: the Kanex Syndee Smart Recharge Station. The Kanex Syndee allows me to charge 4 devices at the same time. 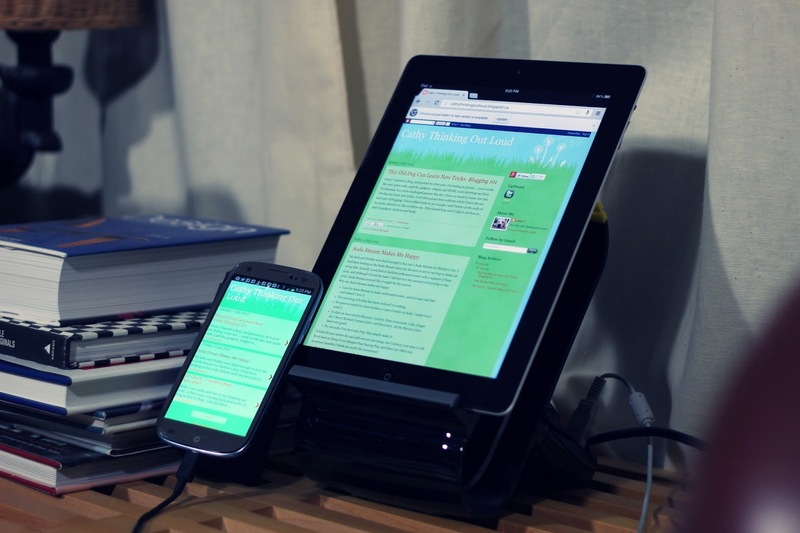 The Kanex Syndee is compact and stacks devices safely charging while conserving space. It completely deals with the cord chaos and comes with Apple certified cables. The Kanex Syndee deals with all my issues. At $149 the Kanex Syndee is an investment, and I can understand how some might be reluctant to spend that much on a charging station. Now that I have lived with it for several months I think for a busy connected family it is worth the investment. It also makes a perfect gift for Mother's Day, Father's Day, or for a Grad going off to University or College. It even makes a great gift for Grandparents. My Mom, a snowbird, has an iPad, cell phone, GPS, and e-reader. It would be perfect for her at home or to bring along for her three months a year in Florida. So there you go, I'm Cathy thinking out loud about the Kanex Syndee Smart Charging Station. The Kanex Syndee comes in either Black or White and can be ordered from www.kanexlive.com /syndee for $149. Note: I have not been compensated in any way for this review. It is completely my personal opinion. Great! I started a Blog, and posted my first post. I'm feeling so proud.....until words like anti spam code, captcha, gadgets, widgets and HTML code interrupt my bliss. Problematic for a tech challenged person like me. I have so much to learn, but this old dog can learn new tricks. Until then please bear with me while I learn the ins and outs of blogging. I have added links to my Google+ and Twitter at the ends of my posts, should you like to follow me. This should help until I figure out how to add on gadgets, buttons and feeds. My kids and Hubby were kind enough to buy me a Soda Stream for Mother's Day. I had been looking at the Soda Stream since my decision to try to cut Pop or Soda out of my diet. Initially I switched to bottled carbonated water with a squeeze of lime juice, and although I loved the taste I did not love the amount of recycling or the price. Soda Stream seemed like it might be the answer. I use the Soda Stream to make carbonated water, and it is easy and fast and indeed I love it. The recycling of bottles has been reduced to nothing. No space is needed to store bottles or cans of water or Soda. I make it as I need it. To date we have tried 6 flavours: Country Time Lemonade, Cola, Ginger ale, Cherry Koolaid, Lemon-Lime, and Root beer. All the flavours have been very good. No one asks if we have any Pop, they simply make it. A Soda Stream starter kit and add-ons are not cheap, but I believe over time it will be at least as cheap if not cheaper than buying Pop, and there are other non monetary benefits I think are worth the investment. A Soda Stream definitely makes a perfect gift for a student going off to University, Mother's Day, or for Father's Day (aka: mancave beverage maker). For those you know who have one already, a carbonation canister and selection of flavours would make a perfect hostess gift, stocking stuffers, or care package. So there you go. I'm Cathy thinking out loud about Soda Stream. OK I Did It ...I started a Blog. Now what? Hello, I am Cathy and this is me thinking out loud. 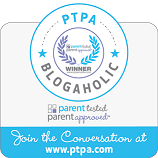 After a year of going back and forth, To Blog or Not To Blog, I finally did it. I started a Blog. Now what? What will I write about? Who will read it? Who will check my posts for spelling and grammar? Do I actually have anything to say? I have reached a turning point in my life. After 17+ years as a stay at home Mom, putting my kids first, they are now teens, and it is time to put me first. I look in the mirror and often do not recognise the person I see. I know I was once cute and stylish and blond. I had a regular exercise routine, goals, and a career. I get that I will never be 20 again, or rock a bikini, but I would like to spend the last half of my life looking and living like the fun hip chic I know I am. The Blog is the first step to finding my inner fun hip chic. I think I have something to say and share, and have insights and life experiences that might be of interest to others. I guess I will find out. Wish me luck! I think out loud about life and the things that matter to me. Banker turned SAHM for 18 years to my two kids. Married for 20+ years in large part due to my husband's never ending patience. I'm a cynic and an introvert putting it out there, and trying to live a glass half full life! IT'S SO EASY TO BE #GREEN - MAKE EASY #COMPOST BIN LINERS FROM #RECYCLED NEWSPAPER & FLYERS! All Rights Reserved (c)2013 CathyThinking Out Loud-Use or reproduction requires prior authorization. Powered by Blogger.